Traditionally, professional sports franchises have lagged behind other business sectors in creating Customer engagement strategies, as they have relied primarily on the emotional and often irrational fandom generated by their Fans. While other business sectors have been designing, launching, and cultivating sophisticated Customer engagement and data utilization strategies for decades, the professional sports industry is still largely unmoved by this trend. We are witnessing a new interest by sports franchises to begin exploring these territories and Bond Brand Loyalty is working with sports franchises to design, build and operate programs that deliver on their business imperatives. 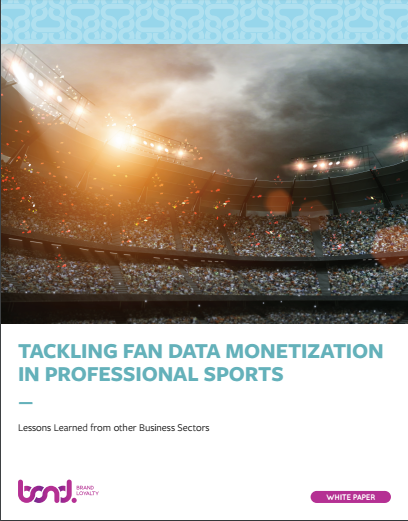 This white paper focuses on providing the insights, guidance and examples to help leading sports franchises build more effective loyalty and data collection programs that secure new revenue streams and engender and enhance Fan Loyalty in and out of venues.